Meet the Author – All things metaphysical. I spent the first third of my life deeply engaged in life, my main concern being making all the right decisions to advance my station in life and benefit my family financially. I did quite well for myself, earning advanced degrees in education and landing a secure position with a university. However, no matter how well things were going, something was still missing. I sought answers in a local Christian church but became disenchanted with traditional beliefs when I found that they did not support my strong belief in human rights and equality. I decided to walk my own path and embrace my own unique beliefs about spirituality. I sought solace in nature, meditation, yoga, and the tarot. As time went by, I found I felt more at peace and in touch with the world than I ever had before. Over the past few years I have experienced what I now know is a spiritual awakening. Perhaps you have as well? It is a fact that people across the world are finding themselves increasingly dissatisfied with traditional thoughts and beliefs about life. There is a hunger for something beyond the physical world. As a society we are increasingly indoors, boxed away in our little houses of wood and plaster. We spend more time with our faces in a screen than in a book, and may even engage in more conversations online that we do face-to-face. We are losing touch with what it means to be truly human. We are spiritual beings who crave connectedness, but our souls and spirits are being starved by modern life. This blog is dedicated to the nurturing of our souls and spirit. 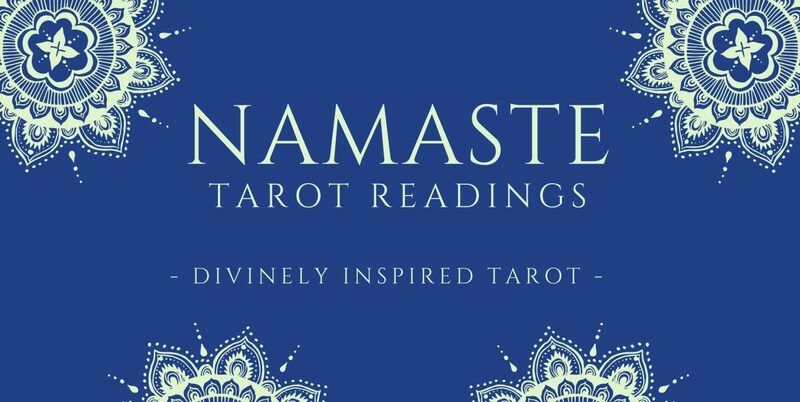 To learn more about me and Namaste Tarot Readings (operated out of Tallahassee, Florida), please visit our home page at www.namastetarotreadings.com.